Home/Archive by Category" Transpartisan Review"
We thank you for following along with the evolution of the Transpartisan Review. We believe strongly in this project by CFH President and Board Chair James S. Turner and colleague A. Lawrence Chickering – an effort to free the issues of the day from the shackles of partisan politics as a means of finding common ground for a solution-oriented dialogue of inclusion. We share it with you because such discussion is what is needed for progress on all issues, including those fundamental to our health freedom. Going forward, we encourage you to check out issues of the Transpartisan Review, as well as the full series of Notes and other content, at http://www.transpartisanreview.com/. In Note #54 we introduced the Centrist Project. This group promotes cooperation and collaboration among state legislators. It seeks out sitting legislators willing to declare independence from current parties and willing candidates to run as independents. They expect Independents to use their leverage to reduce conflict in politics. The Centrist Project aims to get a minimum of five Independent legislators into each state legislative house across the country and in the US House and Senate. It believes these Independents—we might call them Transpartisans—can use their strategic positions to reduce partisan conflict and promote bipartisan or transpartisan legislative action. First, concentrating force wins wars. The Centrist Project follows this principle by concentrating first on the state of Colorado. This focus gives the energetic Colorado transpartisan community a goal for effective action. It creates the opportunity to build a model for other states and Congress. Second, finding five or more Independent legislators—by conversion or election—works best if the assembled group comes from diverse political backgrounds. Sitting members from ‘safe’ districts offer the most enticing prospects. Working through key donors can be particularly effective. Most importantly, we believe, recruiting with policy proposals aligned with our Four-Quadrant Transpartisan Matrix and focusing on issues of special interest to prospects can be especially powerful. The Matrix shows both Democrats and Republicans split between ‘freedom’ and ‘order’ factions. Understanding individual legislators’ places on the Matrix allows recruiters of potential Independent legislators to appeal both to their immediate prospects and to people in other quadrants. Five or more Independents in a legislature broadens the policy playing field for new ideas and offers ‘cover’ (broader space for political action) for legislators who remain in their parties as partisans. In Beyond Left and Right, Lawry Chickering, a conservative, told of approaching radical black lawyers about financing legal services for the poor. He proposed that instead of paying poverty lawyers from outside affected communities in effect to take clients from private lawyers, the government should pay the clients and let them choose their own lawyers. This empowerment strategy would allow the indigenous bar to work for local clients who need help. Even the most radical black lawyers were indifferent to the fact that Lawry developed this idea working for conservative Governor Ronald Reagan. They responded to the empowerment vision behind this transpartisan proposal. In The Chemical Feast: The Nader Report on food protection at the FDA, Jim Turner, a liberal/progressive, told of consumer initiatives that over time led to Congressionally-adopted policies such as Organic Food Production, Nutrition Labeling, and the National Institutes of Health’s National Center for Complementary and Integrative Health (NCCIH). Conservatives and progressives such as Senators Orrin Hatch, Tom Harkin, Richard Lugar and Patrick Leahy championed these initiatives, which passed Congress with robust bipartisan support. Each of these initiatives created citizen/consumer empowerment programs that support individual people making personal choices that fit their specific needs and resources. They exemplify transpartisan. This is a very large subject, which we explore in Voice of the People: The Transpartisan Imperative in American Life, our book on a transpartisan politics, our weekly Notes, and The Transpartisan Review. As the Centrist Project and others seeking legislators and candidates to get Independents into power (or anyone considering office as an Independent) look for policy guidelines, we urge them to use The Transpartisan Matrix. It is a tool to help find policies that advance people’s desires for freedom and choice in a framework of security and order. Alaska Gov. Bill Walker, an Independent and former Republican, and Byron Mallott, his Democratic rival, debated each other so many times that they got to be allies. “We discovered that we liked our state a whole lot more than we liked politics,” Walker told a Washington, D.C. press conference on July 12. “So we did something that you don’t typically do in politics. We combined our campaigns.” They won. Walker is Governor, and Mallot is Lieutenant Governor. Roll Call: On building the infrastructure necessary to compete with the two parties: “The biggest problem is that voters only invest time and resources in Independents if they believe the candidates can win,” said Project Executive Director Nick Troianao. “The Centrist Project aims to overcome these challenges by providing support to Independents,” he added. The Centrist Project’s ultimate goal is to elect 3-5 Centrist candidates to the U.S. Senate, where they can deny both parties an outright majority and, as a crucial swing coalition, use their political leverage to force both sides back to the center and forge common ground policy solutions. Their initial effort is to begin with state legislatures, with an intense 2018 focus on Colorado. While they call their project “centrist,” we suggest that, to the extent they integrate rather than balance the party differences on any given issue, they act more as transpartisans than bipartisans. They embrace bipartisan and transcend it to a new policy position different from that of either party. All these efforts underscore a political process that is expanding to embrace transpartisan initiatives that we report on. They are a hopeful sign for a maturing political process. Independent elected officials from across the country will join together for the first time in Washington, DC, on Wednesday, July 12, for an ‘Independents Day’ event organized by The Centrist Project. The group of Independents will participate in a news conference at the National Press Club at 10:00 a.m. to describe how they are playing a unique role in bringing both political parties together to solve pressing challenges and in growing the Independents’ movement to impact national governance. In Alaska, two independent state representatives helped flip control of the state house for the first time in decades from the GOP to a new ‘bipartisan governing majority’—comprised of several moderate Republicans and the House Democratic Caucus. The bipartisan governing majority has been instrumental in putting forward balanced and bipartisan proposals to address the state’s historic budget deficits. In Maine, since two independent state representatives were elected in 2016, three incumbent state representatives—one Republican and two Democrats—dropped their party affiliation. Now, neither party controls an outright majority in the Maine state house. The Independents have been outspoken in advocating for structural political reform, including protecting a Ranked Choice Voting ballot measure passed by Maine voters last year. In Iowa, State Senator David Johnson became the first serving Independent legislator in 45 years after he left the Republican Party in June of 2016. He acted during his fourth term as an objection to Donald Trump’s campaign. ‘I am feeling more comfortable with my votes than I ever have,’ Johnson recently told The Des Moines Register. Independent voters now comprise the largest and fastest growing segment of the American electorate, at 40% as of May 2017 according to Gallup. This figure is significantly higher among millennial voters. 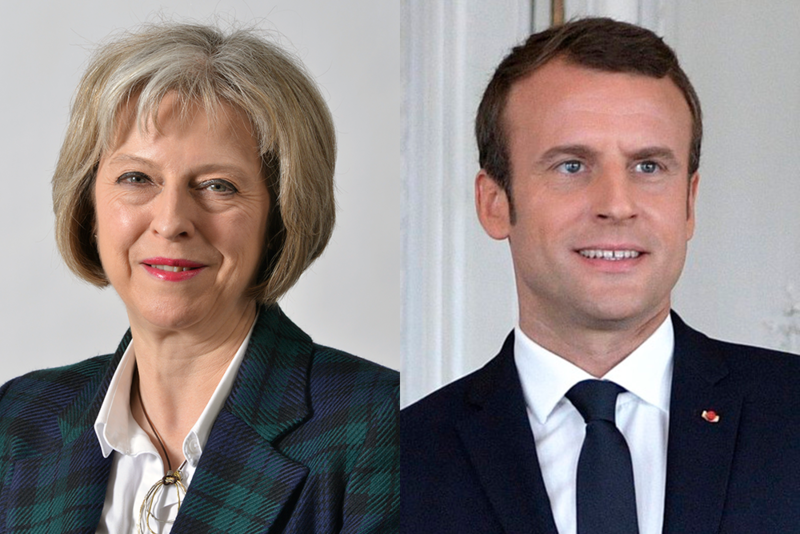 In France, a new centrist, independent* movement (‘La République En Marche’) recently propelled a first-time candidate to the Presidency and a near super-majority of Parliamentary candidates into office. 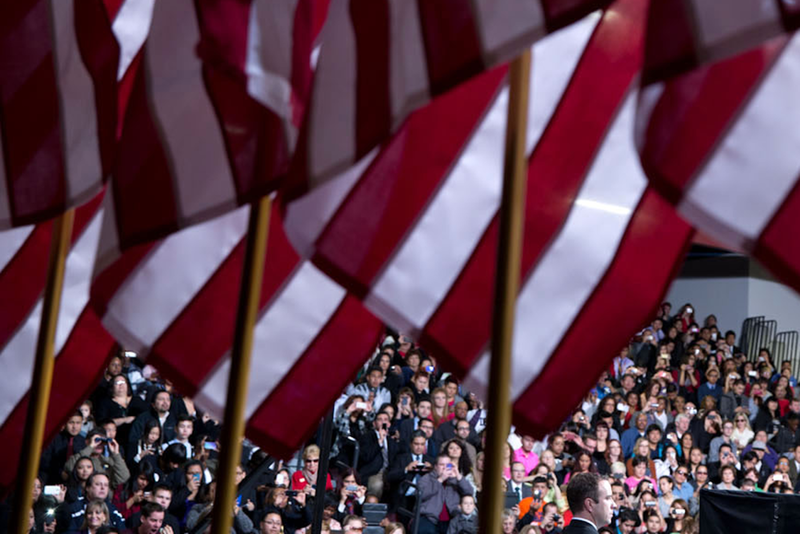 With a majority of voters holding an unfavorable view of both political parties in the United States, according to Pew Research, many political observers speculate that a similar movement can take hold in America. 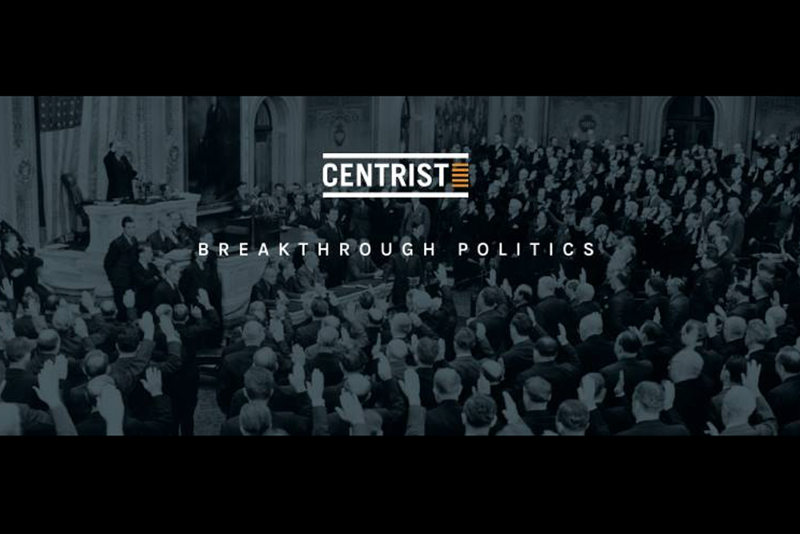 The Centrist Project is a national organization that seeks to bridge the partisan divide in government by promoting centrist, independent leadership and policies that put ‘We, the people’ before any party or special interest. For more information, please visit www.CentristProject.org. We at The Transpartisan Review see left, right and other collaborations such as these springing up across the country and around the world as an expression of the Transpartisan Imperative. Powerful subjective and objective forces drive these efforts and point to new political forms to express our democratic impulses. On July 17 we will post Vol. I, Issue 2 of the Transpartisan Review. Read it for some ideas for new forms of organization. Our times offer great opportunity for innovation. We have been musing along the following lines: Among all criticisms of President Trump, the most common is his apparently unbreakable habit of sending provocative tweets that often conflict with and disturb efforts to advance his developing policy agenda. Such criticisms are constantly repeated, and they all rest on the same assumption: that Donald Trump is stupid because he is choosing actions (tweeting) that are undermining objectives he cares more about (his policy agenda). 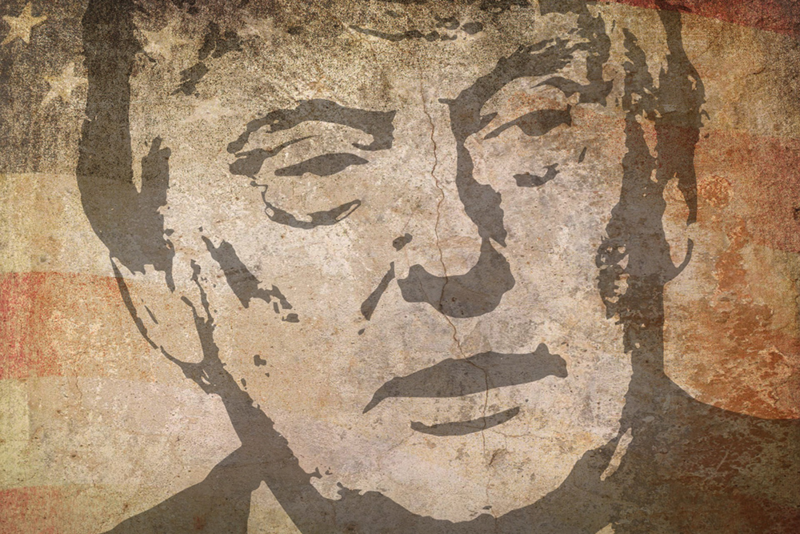 Although it is hard to defend Trump’s Twitter habit from any perspective related to traditional politics, in this Note we look at his actions based on three assumptions: a) he is not stupid; b) he is not crazy; and c) he cares about more than his policy agenda. In this context tweeting is important to him to accomplish more than policy—he afflicts the comfortable. Although he was critical of Trump during the campaign, former Defense Secretary Robert Gates expressed a positive insight about him this spring in calling him a “disrupter.” The political environment, Gates said, can get pretty calcified; and sometimes a disrupter can accomplish things that others cannot. Order out of chaos. Disruption is a negative word, and it is hard to think how it can be part of any positive agenda. Its power comes from being entirely negative. How can Trump be understood as anything except a disruptor while tolerating contradictions such as those from associates – Cabinet Secretaries or Jared Kushner – softening and reinterpreting harsh tweets (which the White House insists are official declarations) to foreign leaders? The tweets are disruptive, keeping things churned up, nothing more. Protesting otherwise, critics try to understand Trump as a traditional President or urge him to become one. What positive outcomes can be imagined from disruption? One positive outcome for Trump personally is that he gets to do what he knows. He knows nothing about being President, but he knows how to host a reality television show. What greater impact than disruption is his decision to host a reality show out of the Oval Office? When the President doesn’t know how to “lead,” what is the principal effect of his reality show disruptions? It empowers other parties, whether in Congress, who must pass tax reform, replace Obamacare, or create numerous other policy initiatives. It also empowers leaders of other countries in global affairs, who must “step up” and act on a basis more equal with the U.S. than before. Washington elites have absolutely howled their displeasure at what they see as Presidential abdication of responsibilities on both domestic and global issues. What possible order can be imagined (they seem to be saying) without the hegemon as leader, managing and directing all of the children, whether in Congress or in international forums? Would it really be so terrible if power and authority were shared in genuine equality with our European allies so they contributed their fair share, and not just in money, for common defense, as all recent Presidents have called for? Strong Presidential leadership would allow the Republicans, who control both houses, to pass bills over Democrats’ unanimous opposition. Why should we applaud continuation of such unstable polarization? Voices are now starting to be heard that Trump’s “abdication” may push Democrats and Republicans to work together to pass a health reform bill. While so far looking unlikely, why is that prospect seen to be so terrible? If forced to work together, they may discover innovative transpartisan possibilities for effective policy, some of which are described in The Transpartisan Review Vol. I, No.1, which was published on Inauguration Day, and Vol. I, No. 2, which will be available later this month. New York Times columnist Ross Douthat usefully introduces a matrix into his analysis of American politics (“In Search of the American Center,” NYT 6/21/17). He reports on a study by the Democracy Fund Voter Study Group and a report by Lee Drutman assessing voter sentiment. Drutman arrays data on voters in a matrix, with economic issues on the horizontal axis and social/identity issues on the vertical axis. Matrix by Lee Drutman from his report “Political Divisions in 2016 and Beyond”. Douthat includes welfare, entitlements, trade and inequality on the economic axis and abortion and transgender rights, race, gender, immigration and Islam on the vertical, which he calls moral and Drutman calls social, identity axis. Drutman’s matrix presents a more limited picture of the U.S. political system and of transpartisan political opportunities than we present in our Transpartisan Matrix (left/right and freedom/order axes). The Democracy Fund/Drutman data and Douthat’s commentary see a static world, with passive citizens voting on how they want active governments to influence economic and social/identity issues. This matrix focuses only on voters; it ignores the 44% age-eligible citizens who opt out of voting. Drutman’s matrix does not explain why people avoid the two major parties (there are now more registered Independents than either Democrats or Republicans; the number of registered Independents and nonvoters combined exceeds the number of Democrats and Republicans combined). If Drutman’s picture adequately described peoples’ values, it would need to explain why neither major candidate and party is able to garner more than 25 to 30% of age-eligible citizens. It does well capturing voters, but poorly describing the totality of the electorate, which includes the 44% nonvoters. This matrix leaves out revelations about political and philosophical support for both order (tradition, justice) and freedom (individuation and self-expression). The Drutman matrix leaves social/moral choice of nonvoters to its lower-right quadrant. Douthat is fascinated by this freedom quadrant, which he finds “astonishingly empty. . . .” We believe that the quadrant devoted to freedom alone is empty because freedom (process) has no meaning without a context that includes a vision of order (substance). Focusing solely on voters the Drutman matrix does not see subjective value in what people want, increasingly desiring free expression and choice when they express that desire for choice by not voting. It sees citizens only as objects—as distinct from all social experiences that are succeeding, which empower citizens as subjects in active roles of citizenship. If people do not vote they do not count—even when not voting is a political statement. The Transpartisan Matrix is based on a vision of expanding consciousness or “individuation,” which combines a desire for increased economic and social choice and a vision of order (e.g., in self-governing communities). The Transpartisan Matrix suggests that the widespread alienation from the political system, in effect, rejects weak and passive citizenship. Effective action requires participation from all four quadrants. An empty quadrant spells trouble for governance. People feel an increasing desire for active citizenship that is found in all successful social models (e.g., the Grameen Bank and community-based education and health projects in the US and many other countries). Active citizens play increasingly assertive roles in institutions and policies. With all presidential candidates avoiding the issues important to increasingly individuated citizens, the mainstream system perpetuates the alienation and chaos that comes from many of the 44% who do not vote. Their abstention—and the conceptual fact that freedom by itself is meaningless—explain to us the Drutman empty quadrant. Here is the Transpartisan Matrix. Read more about how it relates to the Democracy Fund/Drutman Matrix in “The Transpartisan Effect” (Vol I, No. 2 of The Transpartisan Review, will be posted here on July 4, 2017). ‘Taco Trucks at Every Mosque’ is a celebration of breaking of the fast (iftar) during the month of Ramadan by Orange County, California, Muslim and Latino community members. It took place June 15th at the Islamic Society of Orange County in Garden Grove. 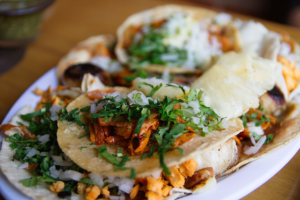 Orange County’s OC Weekly reported that a line of fourteen hundred people of all ethnicities and religions formed for halal (fitting Muslim dietary laws) tacos. Muslim activist Rida Hamida and Santa Anna Valley High history teacher Ben Vazquez came up with marking iftar by breaking bread—tortillas—together. Hamida is president of the county’s Arab American Chamber of Commerce. Vazquez is a board member of El Centro Cultural de Mexico. They seek to unite their communities by recalling their shared roots dating to Muslim rule of Spain (circa 711 to 1492). On the evening of June 4, 2017, two Salt Lake City Mormon congregations—the Yale Ward and the Gregson Ward—hosted iftar dinners for their Muslim neighbors, The Salt Lake Tribune reports. These communal meals break the daily fast at sundown during Islam’s observance of Ramadan (May 26-June 24 in 2017). Ramadan is a month of fasting, prayer, scripture study and charity for all devout Muslims. Area mosques—the Utah Islamic Center, the Islamic Society of Bosniaks, and the Muslim Community Center—enthusiastically supported the event. Those mosques brought such iftar dishes as ‘biryani,’ a spicy mix of rice, meats, dried fruits, eggs and yogurt, and other traditional foods from a range of Muslim ethnicities. Imam Shuaib Din sees sharing iftar with his Mormon neighbors as an important milestone. Tuesday night marked the beginning of Shavuot, the Jewish holiday celebrating the revelation of the Torah at Mount Sinai. Tuesday night also marked another night, when Muslims break their daily fast for the month of Ramadan in honor of the revelation of the Quran. About 100 people met at the Jacksonville Jewish Center on Tuesday night to study, pray, eat and quiz one another about their faiths. Personal, local, subjective experience like that, occurring at these events lies at the heart of the transpartisan political impulse. Increasingly, individuals in local communities harness this force. Increasingly, local individuals sharing intimately together overcome fear, stereotypes, ignorance and . . . spiritual as well as physical hunger. We look forward to the day when national news outlets prominently feature positive stories like these, which reveal important realities about the country and its emerging transpartisan impulses. Routine ‘narratives’ about the country tend to focus more on divisions than on the productive, creative solutions to those divisions that citizens engage in every day. “In office, but not in power,” headlined The Telegraph of London on Sunday, June 11. The headline described the situation of British Prime Minister Teresa May. May called the June 8 election to bolster the Conservative party’s Parliamentary majority. Instead the Conservatives lost 13 seats and their majority. As the left/right division loses its hold on Western democracies, transpartisan possibilities emerge. The partisan divide endured from 1790’s Constituent Assembly seating during the French Revolution (king’s critics left, supporters right) to now. The Economist profile of Macron gives a taste of the emerging Transpartisan effect. This transpartisan moment calls for resistance and creation. It calls for resisting precipitous collapse of, and gratuitous attacks on, existing institutions. It also calls for creating and nurturing new, resilient, institutions. New institutions that embrace and transcend constricting, unproductive systems rejected by contemporary electorates can give shape to the transpartisan force. We will publish Vol. I, Issue 2, of the Transpartisan Review on July 4, 2017. It will contain ideas—replacing the income tax for example—that we believe usefully expand the national discourse. New ideas broaden thinking. Relying solely on old ideas feeds chaos. Our country’s partisan divide impacts the way we do business, whether we work in commercial, nonprofit, academic, or government programs. The following short article, written with fellow public policy analyst A. Lawrence Chickering, explores one of the many facets of this impact when examined from the “Transpartisan” perspective. The American Soul: Rediscovering the Wisdom of the Founders (San Francisco State University), Philosophy Professor Jacob Needleman’s 2002 book on the meaning of America, offers insight, solace, and guidance for 2017 Americans. 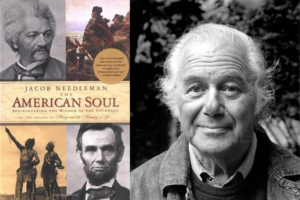 Professor Needleman sees in the face of Lincoln, the mind of Jefferson, the character of Washington, and the multitude of attributes of the men and women of America’s founding generation the emergence of “the idea of America” leading to “a community of conscience”. We believe that Dr. Needleman captures an essential aspect of what we observe, suggest, and advocate as Transpartisan politics and policy. In particular, we believe that a large majority of the individuals disassociating from current political parties and processes resonate with the deep subjective part of the American essence described by Dr. Needleman. We believe they are searching for ways to express that resonance. The book closes with a call for rekindling the American mythology, to understand what is truly eternal and indestructible in the American vision. As the transpartisan political process unfolds we believe that its expression is shaped by the essential American vision.